When you're facing a crisis, remember what Jesus said to His disciples in John 14:1, the night before His crucifixion: "Let not your heart be troubled." Imagine what it would have been like to be one of Jesus' disciples at the end. They watched as He was arrested, beaten, and crucified. All of their hopes and dreams were rooted in Him, and now He was dead and seemingly defeated. 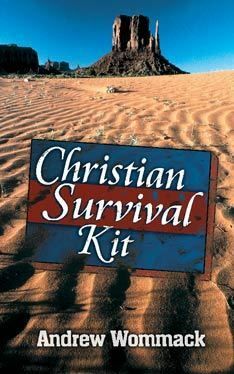 The disciples were facing a crisis that none of us will ever endure, yet what did Jesus say? "Let not your heart be troubled." 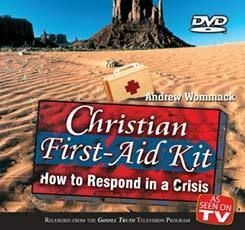 That statement is the first step in Christian first aid. 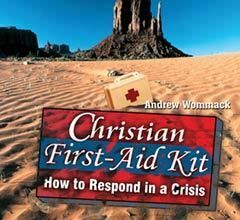 When a crisis comes, and it will, reach for the first-aid kit, and let not your heart be troubled. 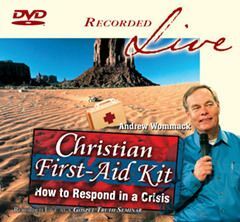 This DVD album was recorded live at the Fort Worth 2010 Gospel Truth Seminar. Each DVD contains one teaching session.